Much as the casting of Breaking Bad’s Jonathan Banks last year did plenty to explain why Adam Scott’s Ben has such innate anxiety, Parks And Recreation’s next guest-star dad could explain a lot about Ben Schwartz’s Jean-Ralphio. It’s Henry Winkler, the erstwhile Arthur Fonzarelli and Barry Zuckercorn, and thus a man who similarly knows from cool catchphrases and terrible business advice. Winkler will be introduced in the show’s sixth season premiere (with the possibility of future appearances to come), which is an hour-long episode that finds most of the cast in London—both because of an international awards ceremony, and because that’s where Chris Pratt is currently filming Guardians Of Galaxy and rocking the royal baby to sleep with his abs. 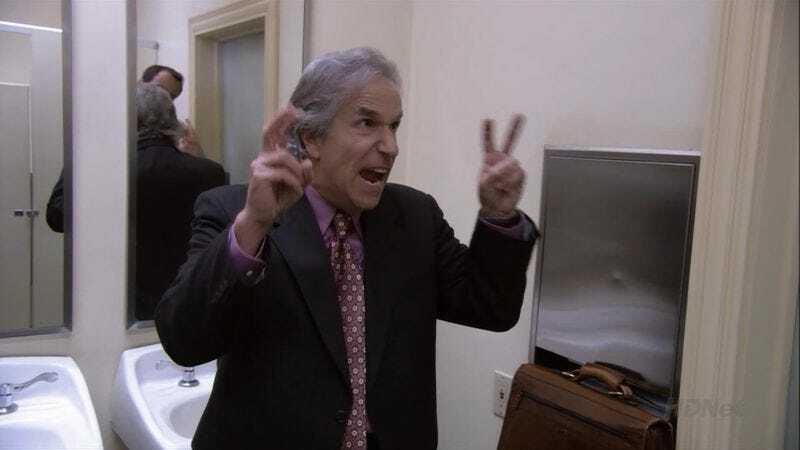 It’s unclear as yet how Winkler fits into the storyline, though presumably he’ll join Jenny Slate’s Mona-Lisa in further illustrating how Jean-Ralphio’s family is just the worst.